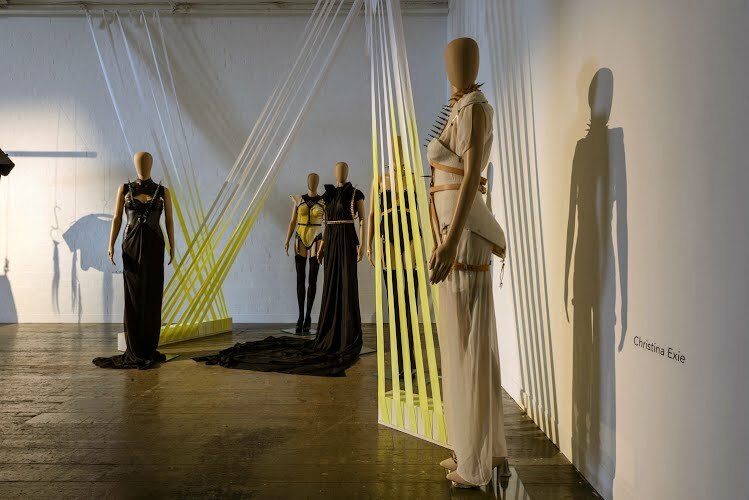 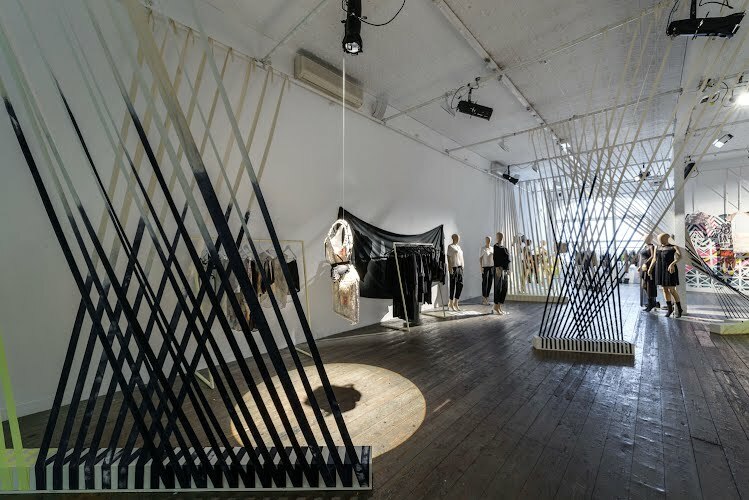 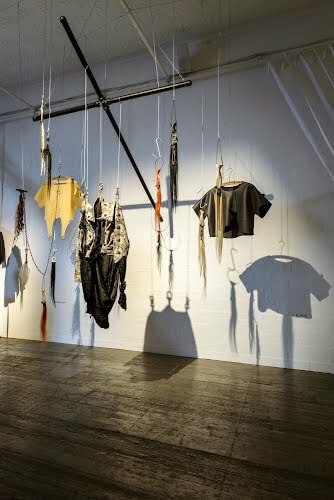 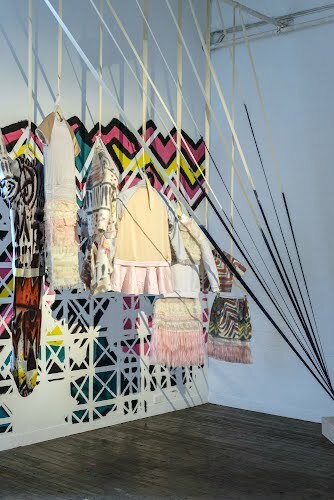 As part of Melbourne Spring Fashion Week 2012, Moth and stylist Connel Chiang co produced the New Designer exhibition, titled Parallel Tensions, the exhibition looked to explore the complexities faced by emerging designers looking to break into the fashion world. 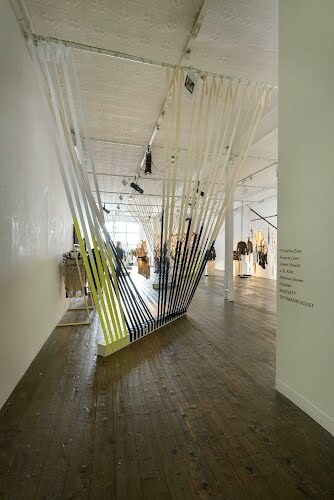 Using hand dyed webbing lengths to create divisions within the space and also to reference the essence of tension, a system of lengths created a distinct flow between each designer works, celebrating the work in unity whilst differentiating between the individual designers. 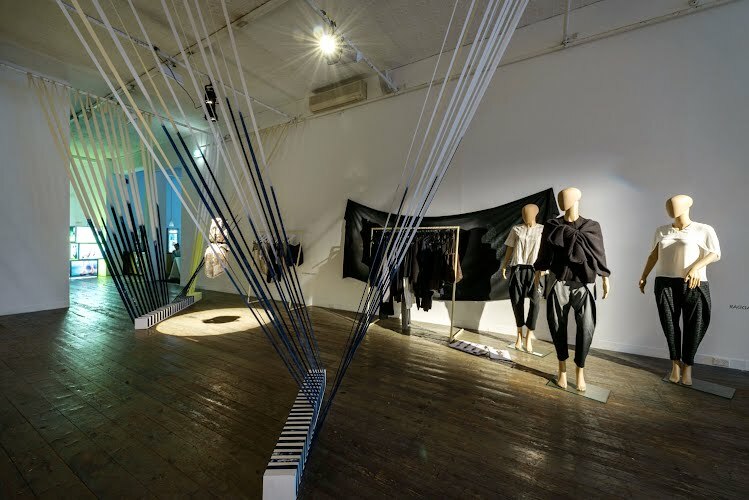 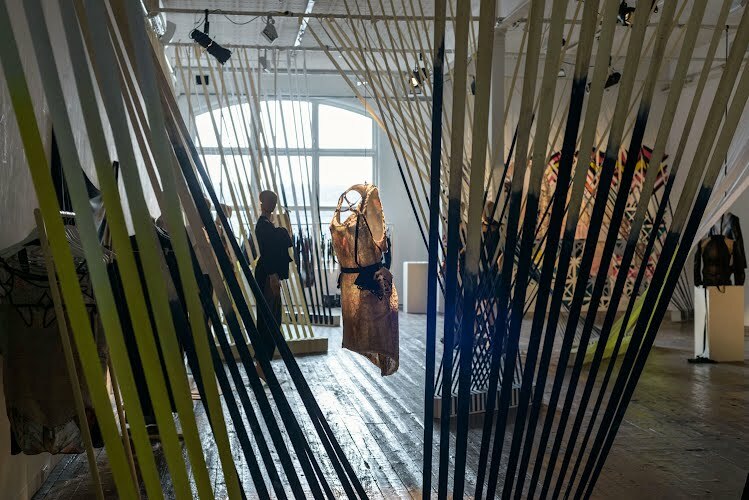 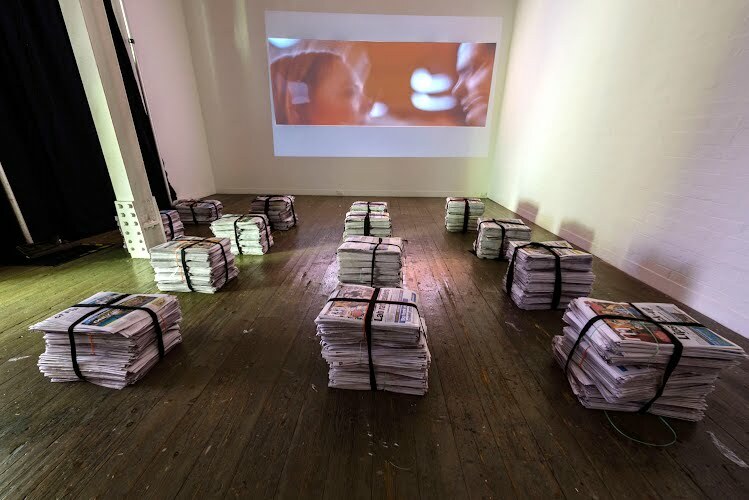 Campaign films were created for the event, screened as part of the exhibition and a temporary store was included as a way to translate the concepts within the exhibition to wearable items for purchase. 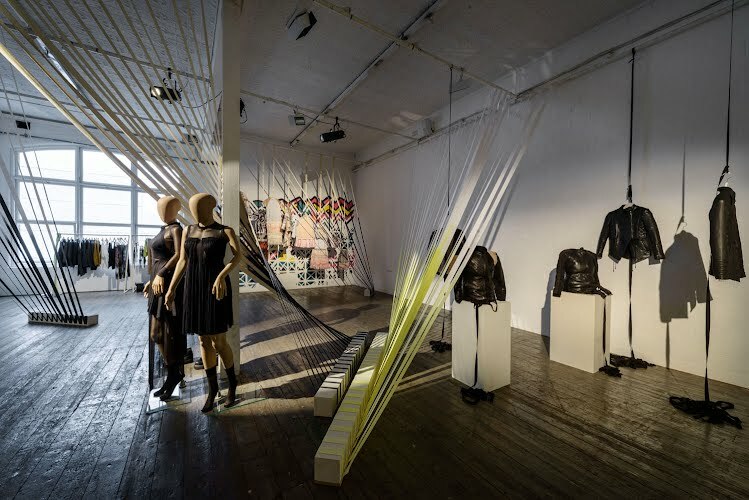 The fresh crop of fashion designers included in the exhibition: Melanie Bower, Jason Hewitt, Christina Exie, tettman.doust, Oracles, Francis Leon, J.K Kirk, and RAGGATT.